Accor has launched its first 5-star resort in Phuket – the Pullman Phuket Arcadia – offering the perfect combination of an idyllic beachside location, yet just 15 minutes from the airport. 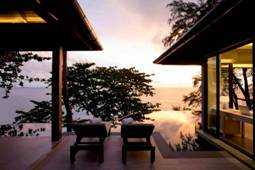 Other resort destinations in Phuket can be up to an hour’s drive from the airport. 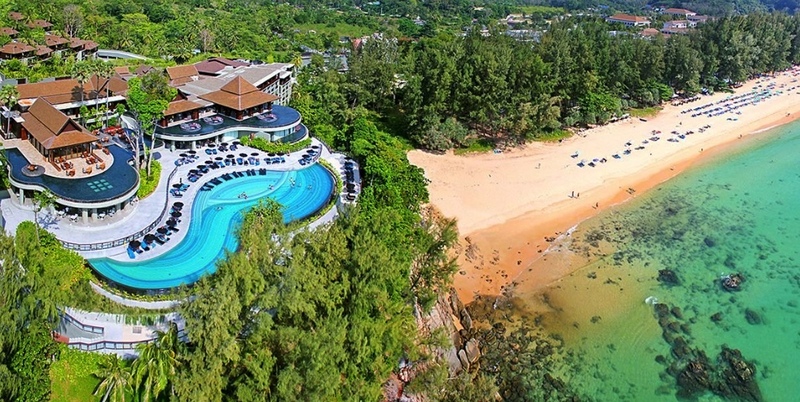 The resort is located at secluded Naithon Beach, one of the most stunning stretches of Phuket’s western coastline, overlooking the Andaman Sea and surrounded by tropical hills. 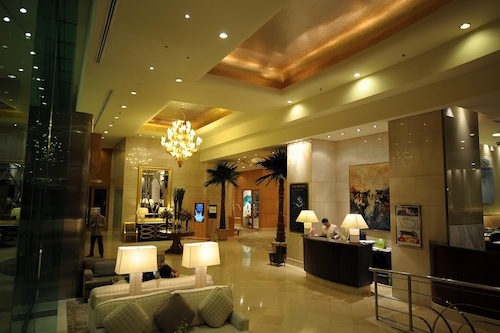 The 277-room resort features a sophisticated design that blends the highest international standards with local beauty. The resort’s architecture and landscaping will leave guests with a lasting impression, with cascading waterfalls and uninterrupted views of the Andaman Sea from all angles. The resort features ‘Art in Motion’, the guest transport around the resort designed by local Thai artist, Supachai Ketkaroonkul. Brett Wilson, General Manager of Pullman Phuket Arcadia says, “The designers of this resort have taken advantage of all the unique selling points the resort has to offer, like the stunning uninterrupted views of the Andaman Sea, which is one of the main reasons people are attracted to Phuket. To add to this, Naithon Beach, which is probably Phuket’s best kept secret, is often referred to as the island’s finest beach. Guests looking for a unique dining experience will enjoy Elements, an all-day dining restaurant which serves fusion delicacies and the fine traditions of Thai and Western cuisine. 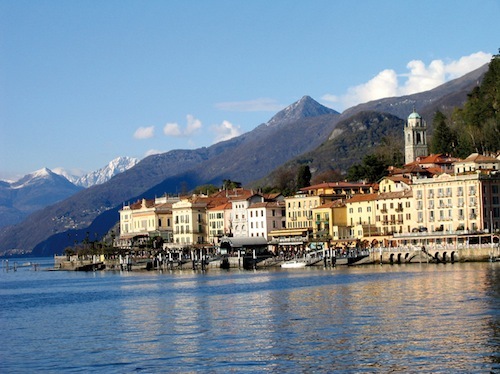 The resort’s Italian restaurant, Vero, offers a unique culinary journey through various provinces of Italy and captures the Italian traditions of good wine, good food and good conversations. The Deli is a treasure trove for the senses – indulgent chocolate treats, fresh baked croissants, and delicious pastries. The lobby lounge, C Bar, has stylish, chilled-out beats down to a fine art, allowing guests to relax in the designer sunken lounges nestled in the infinity pond. It is here that guests can discover a selection of fine wines from Pullman’s Vinoteca wine library, guaranteeing quality wine by the bottle or glass. Azur Bar is the main pool bar overlooking Naithon Beach and the beauty surrounding this secluded area. Its sun deck provides the perfect backdrop for lazy mojitos by the pool. The Float Bar is the centre of family pleasure during the daytime, serving kids’ favourite snacks and beverages. This area has been created with families in mind. Guests looking to exercise or relax with spa treatments will enjoy Pullman’s signature Fit Lounge and the resort’s Dhatri Spa. Named after the “God of well-being and tranquility”, the Dhatri Spa offers guests a choice of relaxing, balancing, revitalizing and purifying treatments that blend Asian spa traditions with ‘modern’ beauty therapies. The Dhatri spa has three single treatment rooms, a double spa suite, a beauty salon, and the option of in-room treatment services. The spa products are made from natural and fresh ingredients blended by hand along with world-class beauty products provided by French-based skincare brand, Payot. The Spa retail shop also caters to guests interested in continuing their body and facial spa at home. True to the Pullman brand’s Co-Meeting promise of Commitment, Connectivity, Comfort, and Cohesion, the meeting spaces and facilities at Pullman Phuket Arcadia are impeccable. The 389 square metre Arcadia Ballroom has an 8 metre-high ceiling that creates a sense of opulence and grandeur. The facilities have been designed to keep meetings, breaks, and accommodation rooms all centrally positioned in the heart of the resort. The five state-of-the-art meeting rooms and six outdoor function spaces with fantastic ocean views can accommodate small to large groups from 10 up to 600 guests. As in every Pullman hotel around the world, guests visiting Pullman Phuket Arcadia will meet the Pullman Welcomers throughout the resort as they engage with guests, greeting and providing information or assistance to help guests maximize their enjoyment of the resort’s facilities. Welcomers at Pullman Phuket Arcadia can communicate in several languages to accommodate the needs of guests of different nationalities. The resort also has a dedicated Events Manager who facilitates meetings and events, interfacing between the clients and all other hotel operational departments and services to ensure perfect event execution. The meetings support team is equipped with creativity, ready to make each event uniquely different, while the resort provides cutting-edge venues, outdoor spaces, innovative breaks, and a variety of team-building options. The resort also provides state-of-the-art technology, with an IT Solutions Manager, dedicated to in-house events, on standby 24 hours a day. “The Pullman brand has a strong focus on the meetings market and we have introduced these special roles to assist with our goal of being one of the leading meetings and incentive resorts in Phuket,” said Mr. Wilson. In addition to Pullman Phuket Arcadia, Accor’s portfolio in Thailand features four other Pullman hotels. There are now over 40 Pullman hotels and resorts in Asia-Pacific, with 40 more hotels committed to the pipeline. “Pullman is Accor’s upscale brand specifically catering to the needs of today’s modern traveller. Pullman Phuket Arcadia is a newly-built resort that will showcase the brand’s new ‘lifestyle’ identity, with world-class facilities that will set the benchmark for the rest of the Pullman hotels and resorts to come,” says Patrick Basset, Senior Vice President of Accor Thailand, Vietnam, Cambodia, Laos and the Philippines. “The Pullman brand is at the core of Accor’s upscale expansion plans and we are very proud to finally introduce this brand to Phuket. Pullman has been very successful in Asia, especially in Thailand where this resort will be the fifth Pullman property in the country. I strongly believe that Pullman Phuket Arcadia will become a major player in Phuket’s upscale market,” Mr. Basset added.